Last month, the Zipit team attended AT&T's Partner Exchange Summit 2017, a gathering of IT channel partners focused on networking opportunities and a chance to highlight the interesting ways partners are leveraging AT&T's solutions in IoT and beyond. 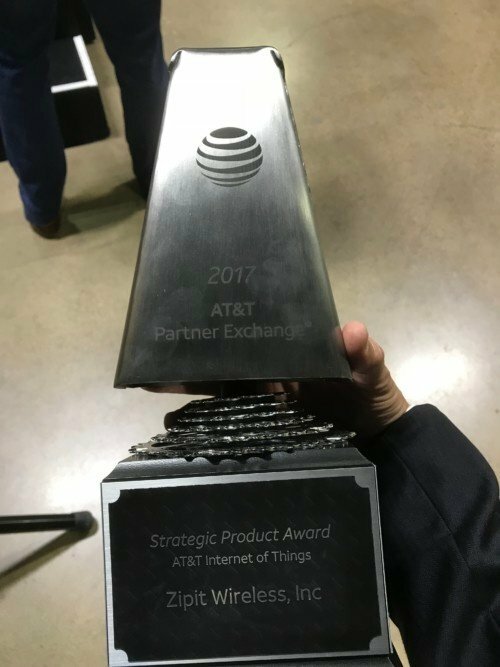 At the event, Zipit was presented with a Strategic Product Award by AT&T's Internet of Things division and was cited as being the top performing IoT solution provider in the AT&T Partner Exchange channel. 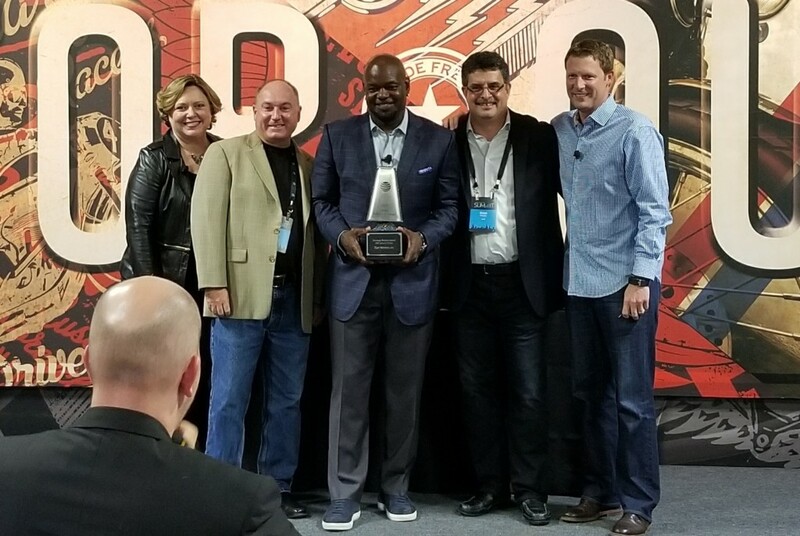 The award was presented to Zipit by NFL Hall of Famer and 3x Superbowl Champion, Emmitt Smith. The award and additional recognitions for our team's work in IoT was appreciated, and we have seen continued success resulting from the IoT collaboration between Zipit and AT&T. We are excited to see what 2018 brings. During their keynote presentation at the summit, executives from AT&T's Internet of Things division also highlighted Zipit's success in bringing innovative medical IoT products to market and the opportunities for these IoT applications to have a positive impact on society. As an experienced IoT solutions provider, Zipit continues to help OEMs and others accelerate their IoT strategies and in turn create secure, successful solutions for their customers. If you are an IT channel partner interested in supporting IoT companies, or your company is developing IoT solutions for the enterprise market, we welcome the chance to sit down and chat about your IoT goals and how Zipit can help you achieve them.